With 2018 being the 100th anniversary of the end of the First World War, we wanted to provide some insight and background on what Remembrance Day is about, and to also let everyone know about many of the events that are happening around the lower mainland. Many of us grow up accustomed to watching the services or parades on November 11th, but a large number of people living here now may be unaware of the meaning behind the tradition. So whether you’ve been aware of Remembrance Day your whole life and still don’t quite know why we do it, or whether you’ve never heard of it before and the whole thing is new, we hope that this post will shed some light on the matter. Remembrance day is an important national holiday where we take time to commemorate those in the armed forces, past and present. Canadians at home and abroad have made countless sacrifices during times of war and conflict, and continue to serve during times of peace. On Remembrance Day we honour these men and women and take time to appreciate their service, their sacrifice, and, most importantly, their contributions toward peace. 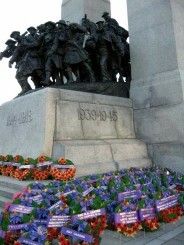 It is helpful to understand why we observe Remembrance Day, and also the specific history behind it. Here we answer the most common questions about Remembrance Day in Canada and suggest some ways you and your family can get involved. Why is Remembrance Day on November 11th? July 28th, 1914 was the first day of the First World War, a global war centred in Europe, and the likes of which the world had never seen before. The war, also known as The Great War, lasted over four years and took the lives of over 15 million people. But on November 11th, 1918, a truce was made and the war stopped. This is why we observe Remembrance Day on November 11th each year, to mark the day peace was made 100 years ago. Why is there a minute of silence? The truce to end the war between countries was signed at exactly 11 o’clock in the morning on November 11th, 1918. And so every year on Remembrance day we take two minutes silence at the same time to commemorate those who served as a member of the armed forces during wartime, and their contribution to our peacetime. What is the song played during the moment of silence? During the moment of silence in public Remembrance Day services there is a song played on either the bugle or the trumpet called “The Last Post”. The Last Post was used during wartime by the British Army to signify to soldiers and officers that the end of the day had come, the fighting had ceased for the time being, and those who were lost or wounded could follow the sound back to camp for safety and rest. Now, this song is played during Remembrance Day and other memorial services to symbolize the end of wartime and to honour those who had fallen by calling them to rest. Who takes part on Remembrance Day? 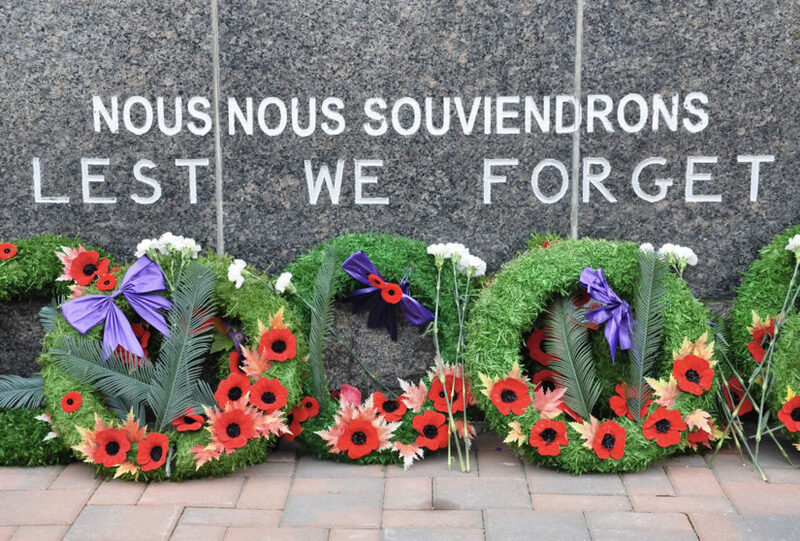 While we say that Remembrance Day is recognized nationally, only six of the ten provinces plus all three territories have November 11th as a statutory holiday. Nova Scotia and Manitoba recognize the day as a holiday but it is not statutory while Ontario and Quebec do not observe Remembrance Day as a holiday at all. Internationally, Remembrance Day is recognized by countries of the Commonwealth that include India, Kenya, Australia, Barbados, New Zealand, the United Kingdom, Ireland, Saint Lucia, and South Africa, among others. There are observances similar to Remembrance Day that happen outside of the Commonwealth in many different countries worldwide, such as Veterans Day in the US. Red poppies, the most recognizable element of Remembrance Day, have been used to memorialize soldiers since the end of The Great War. They were first used in this way by Moina Michael, a woman who was inspired by John McRae’s poem, “In Flanders Fields”, also sometimes known as “We Shall Not Sleep”. 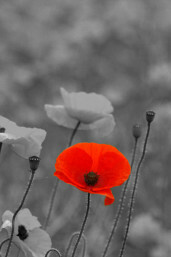 There will be Remembrance Day events held all over the Greater Vancouver area on November 11th. In Delta there will be a wreath laying ceremony at North Delta Recreation Centre with a public reception at the local recreation centre. 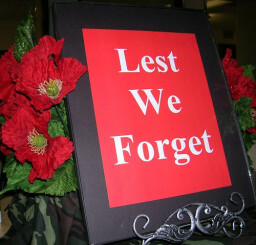 Surrey is holding its annual remembrance day event at the Surrey Museum from 9:30am until 1:30pm. The Remembrance Day ceremony will take place at the Cloverdale cenotaph next to the museum, and afterwards there will be refreshments and activities that will both educate and entertain the whole family. Surrey is also holding several other events. 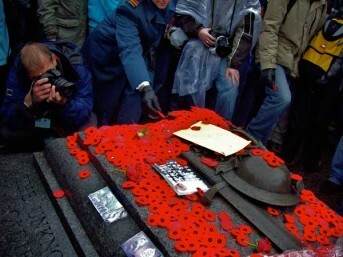 In Vancouver, there will be the extremely popular and annual Remembrance Day ceremony at Victory Square. The ceremony will include the Vancouver Bach Youth Choir, a 21 gun salute, a parade of veterans and cadets, two minutes silence, and the Vancouver Fire and Rescue band. If the weather permits, the Royal Canadian Air Force will also fly past. This event begins at 10:00 am and is an excellent way for the whole family to experience the solemnity and historical significance of the day. Richmond will have a service at the Richmond City Hall at 10:20 in the morning. A military parade will march past, and remembrance ceremonies will begin twenty minutes later at the cenotaph, during which there will be a two minutes silence and wreath laying. After the remembrance there will be a public reception with refreshments at Richmond Legion. 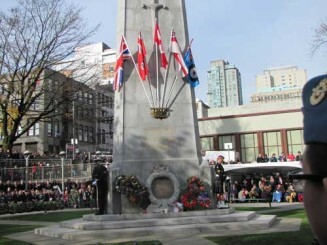 A Remembrance Day parade will be marching from the Victoria Park cenotaph in North Vancouver. The event begins at 10:30am. West Vancouver will be hosting a parade along Marine Drive and service from 10:30 until noon. For more information about these three events, visit the Vancouver North Shore website. There are also various online resources available which aim to teach children about how and why Remembrance Day is a holiday in Canada. The Canada Remembers Program, created by the Canadian government’s veteran’s services, is a great tool to use when teaching younger Canadians about Remembrance Day both at home and in the classroom. Be sure to check with your local municipality for any other Remembrance Day observances happening in your neighbourhood. You can find a great many more events here. Taking time each year to remember the horrors of warfare, and to acknowledge those lost during conflicts both of the past and of the present, is an important tradition that helps us to appreciate the society we live in today. There are many people around the world who are currently living in nightmarish battlegrounds, and it is vital to not only remember the battles of the past, but to also look forward to helping others in working toward a safer and more peaceful world. To everyone who fights for the advancement of peace, we salute you.